The number was later revised to seven companies being pulled out instead of 10. But Ms Banerjee was unrelenting. "It is a political decision by the BJP," she said. 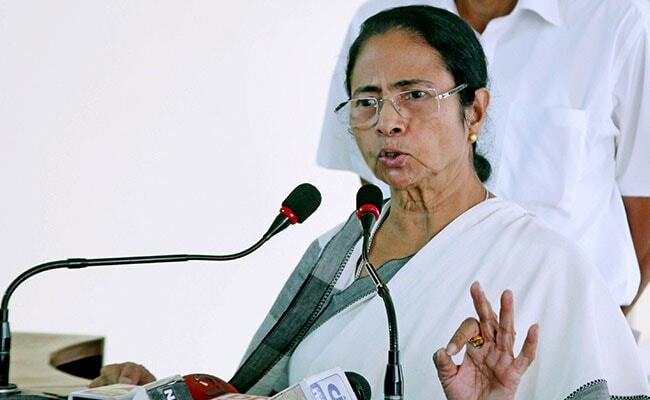 For the third time in two months, West Bengal Chief Minister Mamata Banerjee met leaders from the hills on Monday to solve the Darjeeling crisis. But this time, another issue took over: The Union Home Ministry's decision to pull out 10 of 15 companies of central paramilitary forces deployed in Darjeeling. "Politically and administratively it is a bad decision. I don't think it was taken by Mr Rajnath Singh, who is a good man. It must have been taken in the headquarters of the BJP just because we oppose the party," she added. Mr Binay Tamang of Gorkha Janmukti Morcha who has replaced its chief, Mr Bimal Gurung, in Mamata Banerjee's good books, agreed with the chief minister fully. But the rival camp wrote to Mr Rajnath Singh to thank him for his wise decision and for the centre's rejection of the "Bengal government's conspiracy to label Mr Gurung a terrorist or and anti-national." On resolving the unresolved issues for Darjeeling itself, the date, time and venue for the fourth meeting were set - Siliguri, November 21, 3 pm. But Ms Banerjee's focus was the paramilitary forces. "Foreign arms have been found, Maoist links established, area is sensitive, just next to the Chicken's Neck connecting the mainland to the northeast, one of our officers have died and they want to pull out forces. Whose decision is this?" She shot off angry letters to Prime Minister Narendra Modi and the Home Minister about it. "It is a political game plan, a conspiracy by the BJP to divide Bengal and destabilise it. We will not bow down our head. Our officer is killed. Instead of sympathy, they are withdrawing forces to give importance to the culprit and accused," she said. The culprit, according to Ms Banerjee is Mr Bimal Gurung. As it were, he is on the run, charged by Bengal police with sedition, murder, rioting. But his camp wrote to Mr Rajnath Singh thanking him for pulling out the troops. "On October 13, Bengal police tried to kill or arrest Gurung. 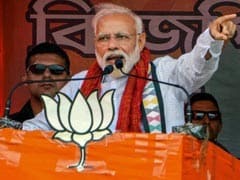 But your decision is proof that the centre does not believe the conspiracy of the Bengal government to depict Gurung as a terrorist or anti-national," the letter dated 15 October said, written by Lopsang Lama, Morcha Central Committee member and former chairman Gorkhaland Territorial Administration. Mr Gurung's successor, backed by Ms Banerjee, agrees with the Chief Minister. "Peace and normalcy was returning but after the huge arms haul on October 13 and a policeman was killed, I think the situation is under control but tense. It would have been better if the forces had remained for a little longer." One of the issues, Mr Tamang said he raised on Monday with Ms Banerjee as part of a solution for Darjeeling, was a different kind of withdrawal. He wants all police cases against Morcha leaders and workers dropped. Do you also want charges against Bimal Gurung dropped, he was asked. His answer: an explosive "No". Ms Mamata Banerjee and the BJP have their horns locked on many fronts. Darjeeling was one of them. Now Darjeeling has become the most-prickly thorn in the flesh.